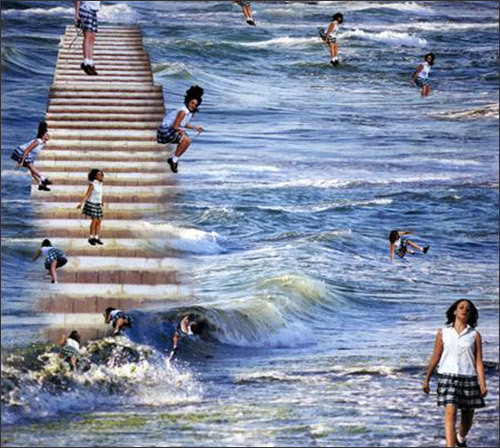 The girl struggles to climb up in the stairs and confront the stormy waves, from which she emerges dry and unscathed. This reflects her determination to preserve and overcome the difficulties. 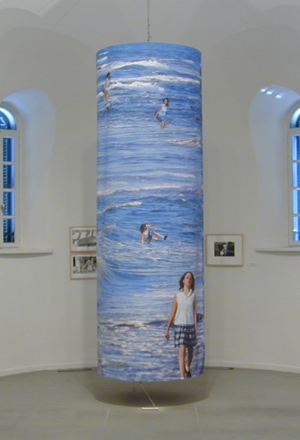 This work was commissioned in 2000 for the opening of the new Haifa Municipal Museum. Computer processed photography, on canvas H-360,W-330cm.